Cambodia is now one of the must-visit destinations in South East Asia and is an excellent place to volunteer abroad. Projects are available for anyone interested in volunteering in the developing world; whether you are on a gap year, a summer placement, or a career break. 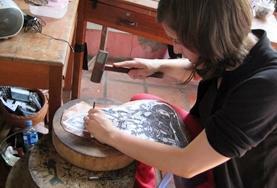 There are numerous projects to choose from. You could join a Care project and work with disadvantaged children - helping to give young Cambodians a brighter future. We also offer volunteer opportunities for teaching English and/or French within the classrooms of the schools that we work with. Our Medical placements are suitable for students who have completed at least one year of medical studies. Physiotherapy and Occupational Therapy volunteers are also needed to work in rehabilitation centres with children who have a variety of disabilities and landmine victims. 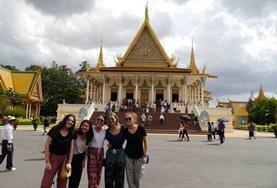 If you want to explore the culture, language and history of Cambodia, then you should consider joining the Khmer Project which immerses you in the Khmer culture, past and present. Our Conservation project is great for adventurous volunteers interested in learning to scuba dive and taking part in a variety of conservation activities in and out of the water. 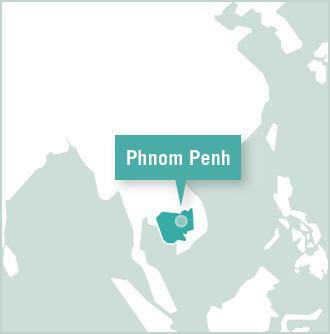 Projects Abroad is based in Phnom Penh, Cambodia's spirited and charming capital city. We do have a small number of host families located in Kompong Speu, where our Public Health volunteers occasionally stay. But most volunteers live together in shared apartments, in the Russy Keo district of Phnom Penh - a short tuk-tuk ride from all major areas within the city. Phnom Penh is located in close proximity to many beautiful beaches, and the world-famous temples at Angkor Wat. 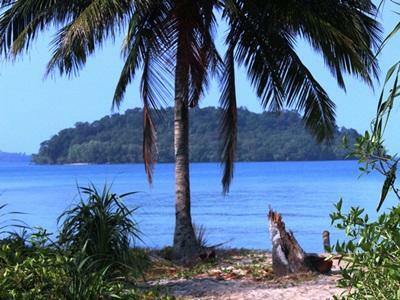 Our pioneering Conservation Project is based on a small tropical island in a remote and quiet area of Cambodia. With its pristine beaches, ancient temples and exotic jungle, it's easy to see why Cambodia’s turbulent history is now becoming an increasingly distant memory. This beautiful country is at peace, and Cambodians are focused on building a positive future. Many areas of Phnom Penh are booming; the city has an elegant riverfront and lively nightlife, and its people are friendly, dignified and optimistic. But it remains hard to escape the poverty and the fact that many Cambodians are still struggling to survive. At about two-thirds the size of the UK, but one of the least-populated Asian countries, Cambodia is bordered by Thailand, Laos and Vietnam. With a coastline on the tropical Gulf of Thailand, Cambodia occupies the heart of South-East Asia and this area was previously home to the mighty Khmer empire. Much of Cambodia is dissected by the impressive Mekong River, and it is a fertile country, with forests and gemstone mines that will help to build the framework for future growth. If you're interested in overseas voluntary work in an unspoilt, beautiful country, now's certainly the time to see Cambodia. Explore Cambodia and you will be amazed by the juxtaposition of vibrant cities, achingly beautiful scenery and famous historical landmarks like Angkor Wat. 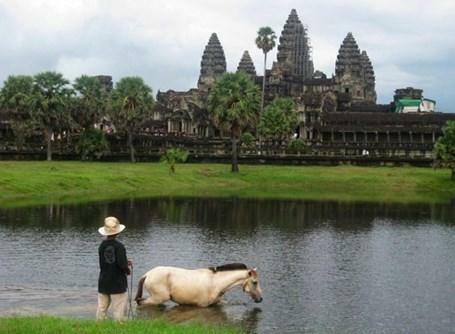 At weekends and during travel time Cambodia offers a huge number of activities. The world-famous gathering of temples near Siem Reap is a must for all visitors - climbing over huge tree roots to the entrance of partly hidden doorways is guaranteed to bring out the Indiana Jones in anyone! However, Cambodia offers far more than ancient temples. Go trekking in the jungles, try snorkelling and dolphin-spotting in the seas surrounding Sihanoukville, or take in the sunset with a bottle of Angkor beer at a local beach bar. Travelling to the neighbouring countries is easy. You can follow the well-trodden tourist trail into Thailand, but border crossings are also accessible into Laos and Vietnam; two more unspoilt countries that are crying out to be visited before the tourist masses discover their charms. 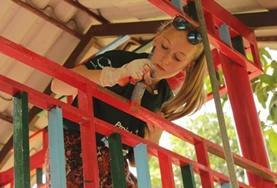 Volunteers in Cambodia work with children in placements including kindergartens, disabled centres and day care centres. Help the local staff with basic education, active games and general care activities. Gain valuable work experience in one of the most charismatic countries in Southeast Asia. 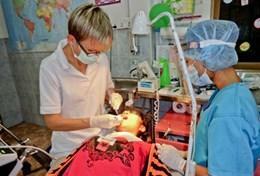 It is possible to work in the dentistry department of the State Hospital in Phnom Penh or at a private clinic. Gain valuable work experience whilst working at a large state hospital, a paediatric hospital or an international private clinic. You have the opportunity to work in a variety of departments. The number of trained Occupational Therapists in Cambodia is relatively low. You can help though volunteering on this project by working alongside local staff in caring for patients. If you are wanting a challenging Physiotherapy placement then a volunteer project in Cambodia may be what you are looking for. 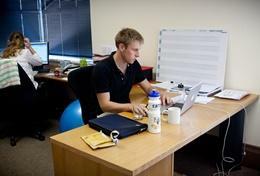 You will usually work alongside local trained physiotherapists. Public Health volunteers will take part in supervised home and kindergarten visits, providing basic healthcare and testing in local communities. Micro-finance Volunteer on a Micro-finance project in Cambodia work with local entrepreneurs by giving them training in basic business accounting and other assistance that will help them build a profitable small business. 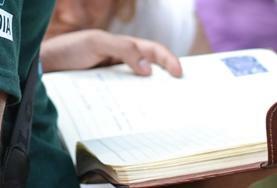 Volunteer as a teacher at one of our partnering local NGO schools in Phnom Penh. 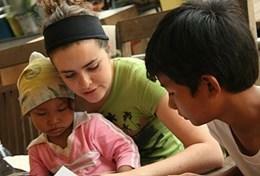 At most placements you can also spend time with the children outside of the classroom. Take part in a personalised Khmer language course, or sign up for language tuition alongside your regular placement. Join our Care & Community Middle School Special in Cambodia and work with children while learning about how you can contribute through service work. Volunteers make a difference in the lives of needy children by dividing their time between running fun educational activities and games and participating in painting and decorating to improve conditions at the center where they are working. Work at a public hospital in Phnom Penh, or a health centre in the community, and have the chance to learn about traditional Khmer medicine in Cambodia. 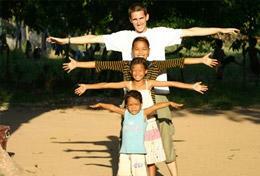 Teach basic lifeskills, play fun educational games and organise educational activities for children in Phnom Penh. You'll also take part in community outreach activities alongside other volunteers your age. 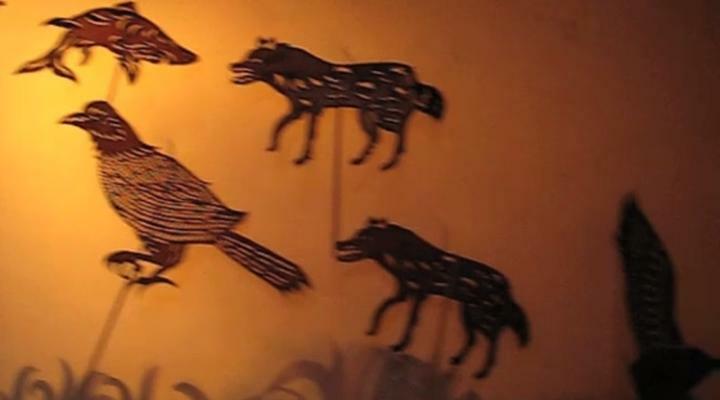 Immerse yourself in the Khmer culture and learn about their way of life through workshops, visits to important sites and helping out in a traditional village. This project is perfect for qualified consultants who are willing to volunteer to provide financial planning and business advice. You will be working with an NGO tackling child trafficking in Phnom Penh. Work for the Southeast Asia Globe, a monthly magazine written in English. Your role may include researching, writing and proof reading articles as well as conducting interviews. 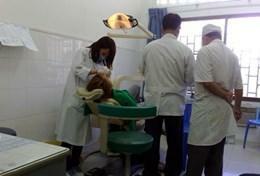 This voluntary dentistry project helps treat patients in a Government hospital and in a private dental clinic. 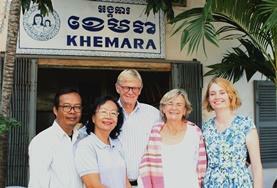 As an experienced volunteer you will work alongside local staff in Phnom Penh. Work in a busy organisation helping victims of war, who are suffering with physical disabilities, and provide them with a better quality of life. 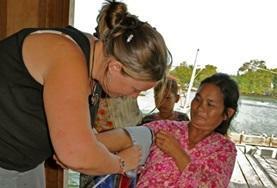 This physiotherapy project helps victims of war in Cambodia. 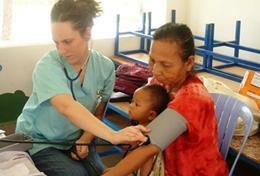 As a professional volunteer you will be working with many people who have suffered the physical harm of conflict.